[+42 | -2] I'm really anticipating it from the teaser ㅋㅋㅋ I'll be waiting for Lovelyz's album this time! 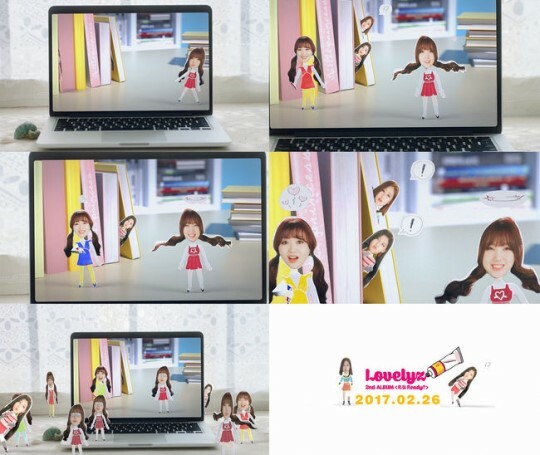 [+40 | -1] Paper dollㅎㅎㅎㅎㅎ Lovelyz, fighting! [+40 | -1] I'm really anticipating this original concept. Fighting! [+15 | -1] Hope it will be released quickly! [+6 | -1] I was taken aback by the slightly changed aura@@ But because it's Lovelyz, I believe they'll do well. Fighting!!!!! [OSEN, via Naver Entertainment] "The great Lovedungies"..Lovelyz, second comeback teaser "It's hot"
[+34 | -0] The teaser is so cute ㅋㅋㅋㅋ I'm really looking forward to Lovelyz's promotion this time. Lovelyz, whose music I always trust in! [+18 | -0] Fighting forever, Lovelyz. Let's fly!!!! [+16 | -0] I'm really anticipating it. Lovelyz, let's be successful!! !